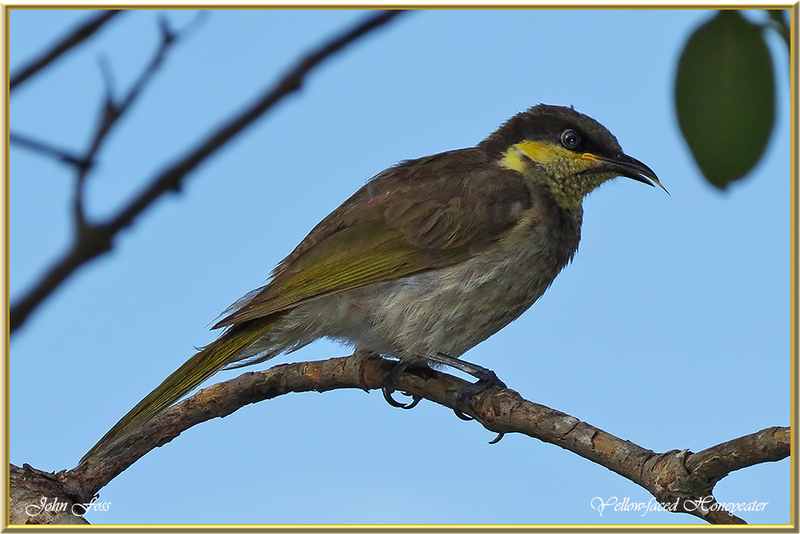 Yellow-faced Honeyeater - is found in a range of habitats. It is comparatively short-billed for a honeyeater, the yellow-faced honeyeater is thought to have adapted to a mixed diet. Feeding consists of nectar and pollen as well as insects. They tend to forage in the flowers and foliage of trees and are rarely seen on the ground. 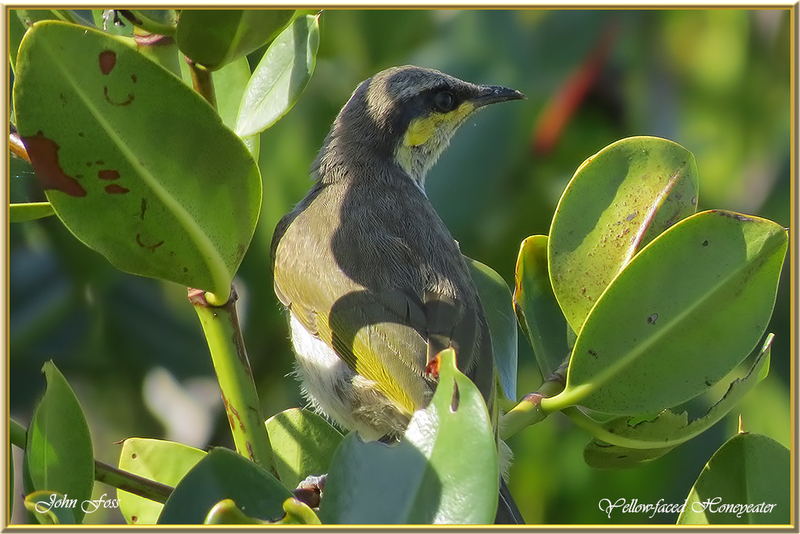 I photographed this one on the banks of the river Burnett in Bundaberg Australia.